COLUMBIA, S.C. – Wow, it’s been quite a great journey at South Carolina. It was a fitting end to my college career being able to share the Naismith Trophy with the fans Monday night, knowing that this is the last time I’ll be around here until I graduate in May. It was really special to be with the fans one more time, but also I know it’s goodbye for now as I head to New York later this week for the WNBA draft . Looking back at the last few weeks since we lost in the Elite Eight to UConn, I haven’t really had time to process it all. I’ve been at the Final Four, in Los Angeles and prepped for the draft. Yet what’s been stuck in my mind is that the incredible ride we have had here at South Carolina is over. The only plus out of not playing in Columbus this year was that I was able to take a step back from it all and see some of the things that I didn’t get a chance to experience last year when we won the national championship. One thing that I will always remember is sitting in the USBWA award ceremony at the Final Four. I was really touched hearing Lauren Hill’s parents share her story when they awarded the Pat Summitt Most Courageous award to Saint Joseph’s guard Avery Marz. To hear how special it was for Lauren and Avery to play basketball meant a lot to me. I didn’t know Lauren personally, but we both wore No. 22 and I will always feel connected to her because of that. I’ve gotten to know Avery a bit, and I follow her on Instagram. She’s a phenomenal woman and her returning from a stroke put a lot of things in perspective. Both stories really touched my heart. As much as I really wanted to be playing in the Final Four, there was something nice about sitting back and actually watching the games. And what a Final Four it was. Those games were incredible. To be around the fans and see Kobe Bryant and see those shots that Arike Ogunbowale hit, definitely made it one to remember. I hope we can bring some of that excitement to the WNBA. Before coming back to South Carolina, I spent a few days in Los Angeles at the ESPN College Basketball Awards. It was a ton of fun doing a promo and breaking out my inner actress, but also interacting with some Special Olympians who were there. Something I will always cherish. But now it’s time to start the next chapter of my basketball career. It’s truly an honor to be invited to the draft and I’m super excited. Although I’ve heard it’s cold in New York and I’ve got to pack my warm clothes. I have my outfit all picked out for Thursday night and it definitely shows off my personality. I can’t wait for everyone to see it. 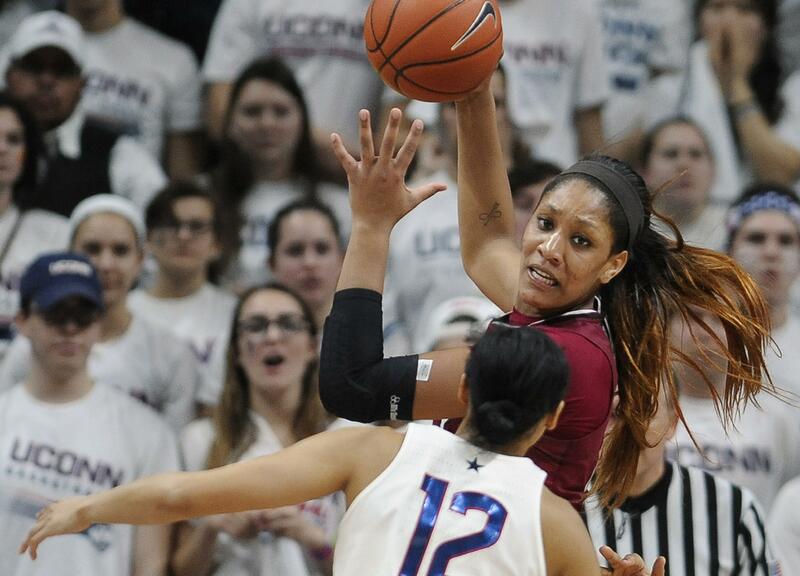 South Carolina star A’ja Wilson is chronicling her path from the end of her college career to the start of her WNBA career, including getting drafted. Published: April 10, 2018, 1:42 p.m.